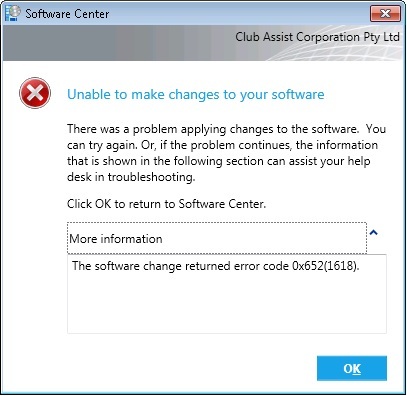 Error 1618 normally means the Windows Installer is busy running another installation. Check that no other installations are running, otherwise try rebooting the computer and run the installation again, it should work this time. If it is coming up as part of a task sequence, it might be worth adding a reboot before this application installation kicks off just to clear everything up.